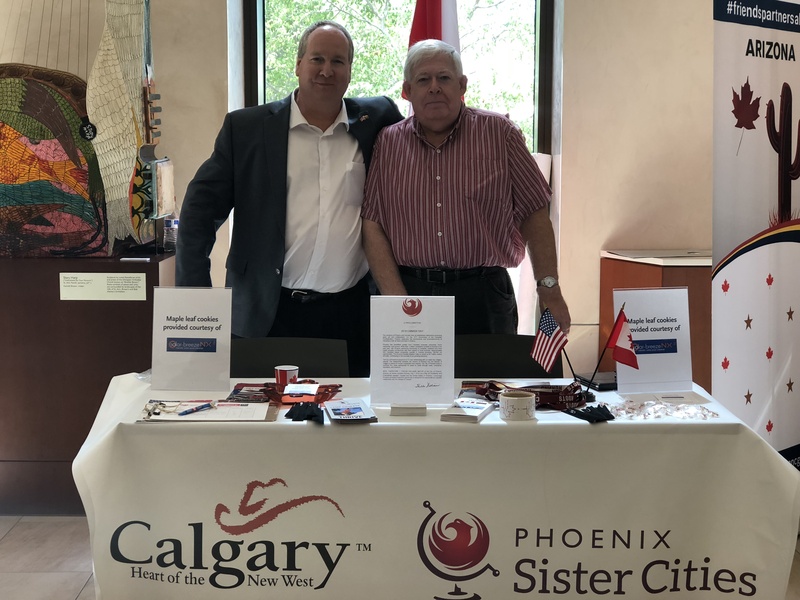 The Phoenix Sister Cities Calgary Committee hosted their Canada Day event on Sunday, July 1st, 2018, at the Musical Instrument Museum. Canadians and supporters from all around the valley were brought to the MIM Sunday afternoon with the promise of Canadian themed museum tours, a group gathering to sing O Canada, and a special Canadian themed menu at Café Allegro featuring poutine, butter tarts, and complimentary maple leaf cookies, courtesy of Solar Pool Technologies Inc.
By 1:00, the entrance leading into the museum’s exhibits was full of people of all ages showing their Canadian pride with red and white maple leaf covered apparel, many bringing their own Canadian flags in hand. Each guest was greeted by the Calgary Sister City Committee welcome booth. Here, guests mingled with committee members and learned more about the mission of Calgary Committee and the events they participate in and host throughout the year. 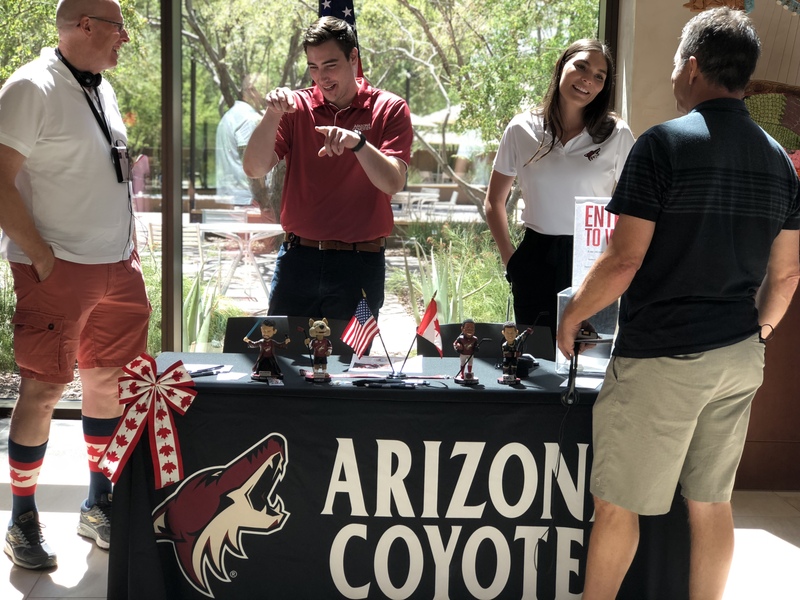 Representatives from the Arizona Coyotes set up their booth next to the Calgary Committee, giving visitors the chance to win tickets to a Coyotes game. 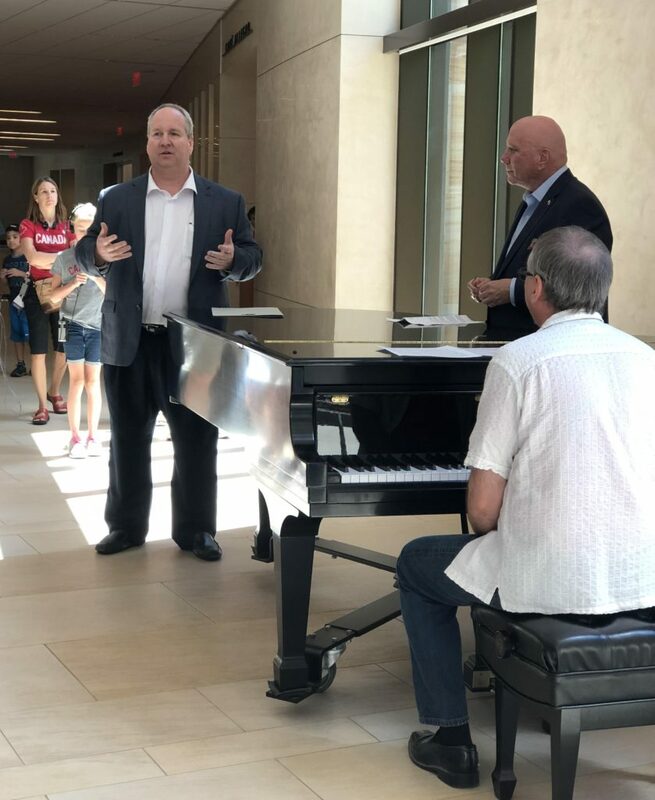 At 1:30, patrons congregated around a museum guide to enjoy the first of two Canadian-themed museum tours planned for the day. 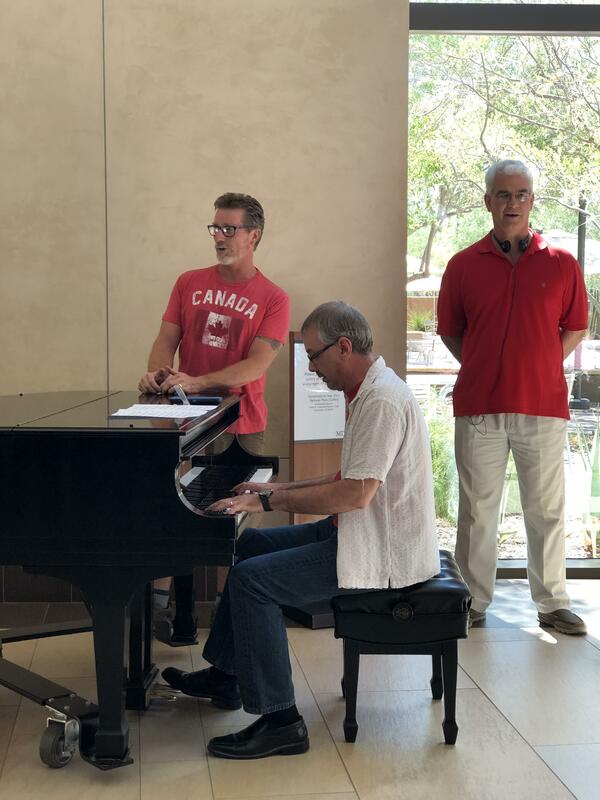 An official proclamation from Phoenix Mayor Thelda Williams was presented to the patrons, officially proclaiming Sunday, July 1st, 2018, as a Day of Solidarity and Friendship between Canada and the United States of America. 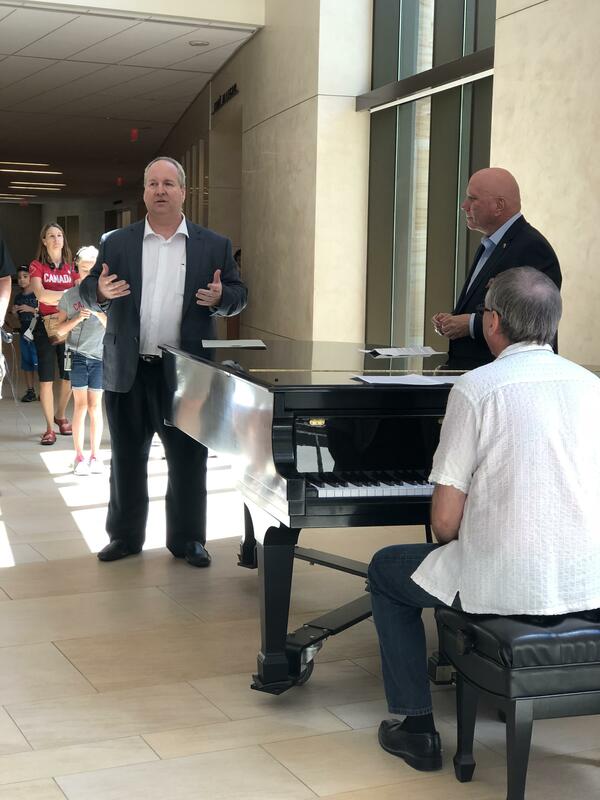 Next, a few short words of wisdom were delivered by Glenn Williamson, Honorary Consul of Canada for Arizona, and John Rice, Chair of the Calgary Sister Cities Committee. Each spoke of their appreciation for the robust relationship between Canada and the United States: A relationship founded on a set of shared values and continuously held together by a common vision of which direction the world should go. Both speakers emphasized the importance of maintaining this alliance through economic opportunities, business partnerships, and cultural and educational exchange. 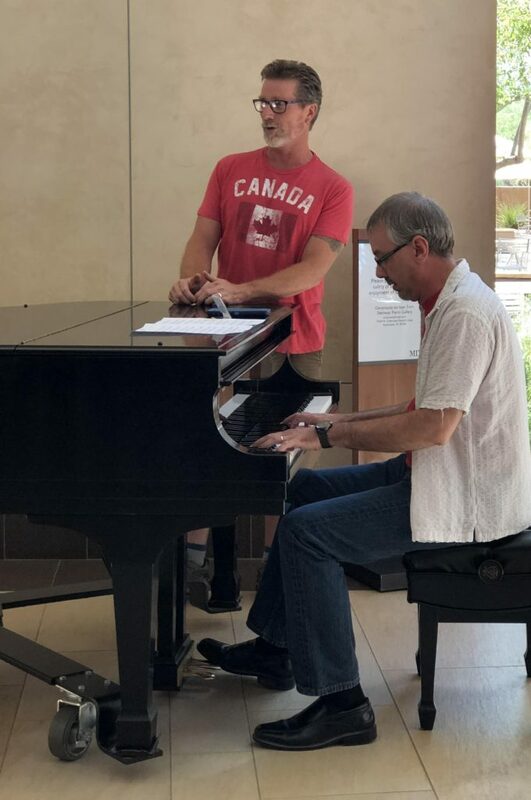 It was at that point that the audience gathered around the grand piano on the first floor of the Musical Instrument Museum to sing the national anthem of Canada, guided by David Armstrong and Mark Greenawalt. The group’s anthem echoed through the museum in a moment of gratitude to one of our most valued allies. To some, Canada’s a homeland. To others, Canada remains a home away from home. To us all, Canada’s our beloved northern neighbor. 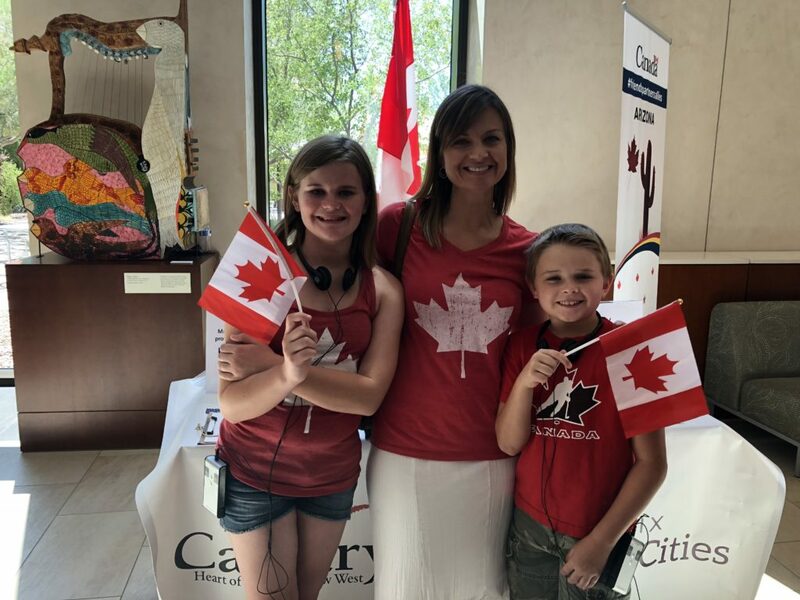 The Calgary Committee did a wonderful job hosting their Canada Day event, bringing together people of all backgrounds for an afternoon of celebration at one of Phoenix’s most treasured cultural centers. This was a great opportunity to make friends with individuals from all around the valley, many of whom expressed their interest in contributing to the great work the Calgary Committee does throughout the year. The Canada Day celebration served as a reminder that some of the most valuable work that can be done to strengthen ties between nations begins with people-to-people relationships. strengthening the bond between Phoenix and Calgary.